These errors when you connect the USB drive are really scary!! These errors generally appear when an external device is connected to the computer and the operating system is unable to recognize it or read it. It doesn’t mean that the drive is corrupt. It’s just one of the common issues associated with connecting an external device to your computer. It’s time we dig deep and fix ‘flash drive not recognized’ problem. However, such issues can arise in both Windows and Mac systems. It may be an initial indication of your flash drive corruption and losing access to data in it. Hence, try to fix the issue as soon as possible. Here, you will find few methods to fix such not recognizing USB error. But, before going ahead with the troubleshooting process, you need to secure your data. Yes, in the process of fixing the USB error there are chances of losing or corrupting your data. Hence, before proceeding with this process, recover your data and save on a secure drive. 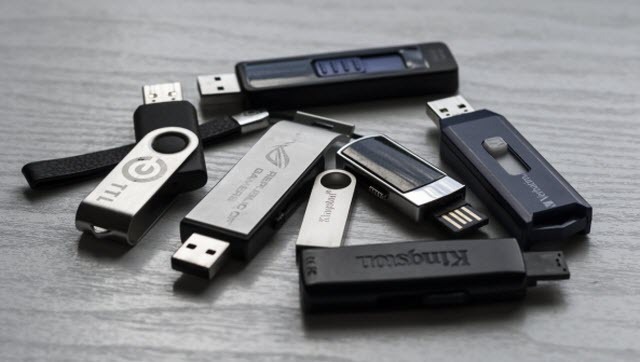 Every computer has an inbuilt mode of scanning any USB drive attached to it. You can use this method to find out any error in the connection or the device. This will scan and show you the results for any issues with your USB device. You can further troubleshoot the issues or use any third party element to fix them. 1 – Right click on the flash drive icon and click Format; this opens the format window. 2 – Go to the File system. This will reformat your flash drive and it will fix the flash drive not recognized issue. In case this method fails to fix the error, then follow the next method. To update the driver, you have to go to the device manager window. Do keep in mind you have the administrator rights to use and change the system settings. 1 – Open the Run command and Type devmgmt.msc and click OK to open the Device Manager tab. This step will update your driver software and fix the Flash Drive not recognized problem in the computer. If you are a Mac user and facing the same issue with your system, here are some methods to eliminate it. I will take you through 3 methods to troubleshoot and fix the Flash Drive Not Recognized problem. In order to perform this first select a port to connect the USB flash drive. 3 – Go to Devices and click External Devices. Many a times, connecting USB flash drive manually will fix the issue. If this doesn’t help you, then try the next method. To perform this troubleshooting you have to return the PRAM. 2 – Press the Power button and hold Command + Option along with P+R while the system starts. 3 – As the system starts boot release the buttons. 1 – Press Command + Spacebar and connect the flash drive. 3 – Select the Flash Drive on the left pane. This will resolve your issue and now you can reconnect the flash drive to your computer and start using it. Now, your flash drive will be free from errors and use the drive. As said earlier, fixing these issues or formatting the flash drive will result in deletion of all the files in that drive. So make sure to recover all the important documents, photos, videos etc. from the drive before performing any troubleshooting.